Vietnam on this date in 2013 made its first-ever use of lethal injection for the execution of Nguyen Anh Tuan. Anh Tuan robbed and murdered a woman in 2009. The new execution method was scheduled to take effect July 1, 2011, fully replacing the firing squad, but had a delayed rollout. As in its country of birth, America, the needle-and-gurney contraption was afflicted by by shortages of the killing drugs. The European Union’s unwillingness to permit import for use in capital punishment eventually led Vietnam to arrange for local production instead. 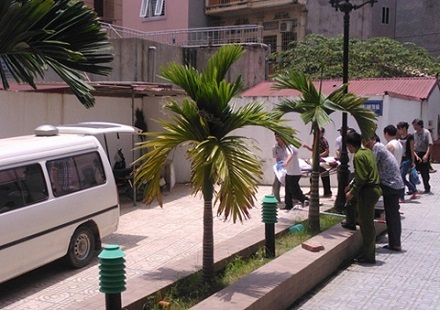 Vietnam’s annual execution toll unofficially runs into the dozens.